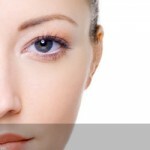 CosMed performs a wide range of cosmetic procedures for both men and women. Whether it’s liposuction in Tijuana, Mexico, tummy tuck, or any other type of plastic surgery that you’re looking for, we have you covered. Under the care of our competent, professional and Board-Certified Plastic and Reconstructive Surgeons and Dermatologists, you will no longer be held back on looking and feeling like the person you have always wanted to be. We also offer after weight loss surgery procedures, regardless of whether you have acquired your desired body type through natural weight-loss programs or bariatric surgery. We will honor the effort you have put into shedding those unwanted pounds by helping you shape up to be an even more beautiful individual. Now you can have an in depth consultation with a CosMed Plastic Surgeon in the privacy of your own home. Our Virtual Consultation is private, safe, discrete and Free. 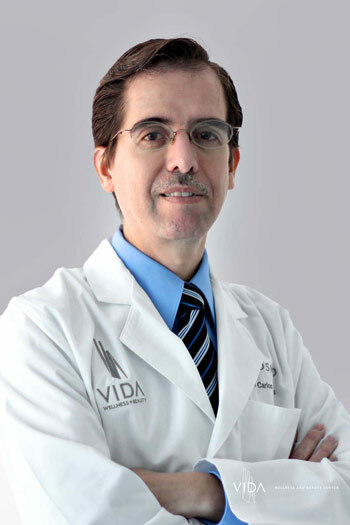 Dr. Alejandro Quiroz, MD FACS, is licensed to practice in both the United States and Mexico. His full residency was completed in Mexico City in Plastic, Aesthetic and Reconstructive Surgery, which was immediately followed by several years of postgraduate fellowship training at the University of California at Irvine. 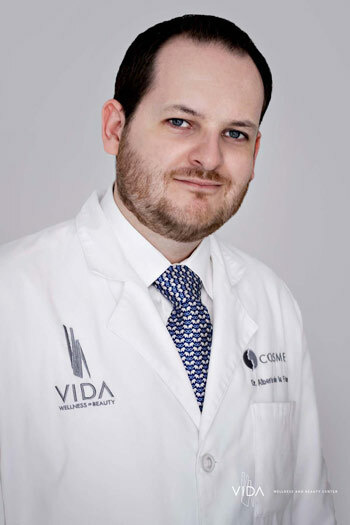 Dr. Juan Carlos Fuentes, MD served as Chief of Residents in Plastic Surgery in Guadalajara. His postgraduate fellowship training was also completed at the University of California at Irvine and at Texas University. 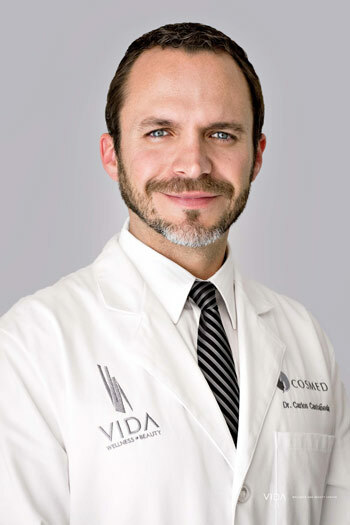 Dr. Carlos Castañeda, MD graduated top of his class from the University Of Baja California. He is a Board Certified Plastic, Aesthetic and Reconstructive Surgeon. 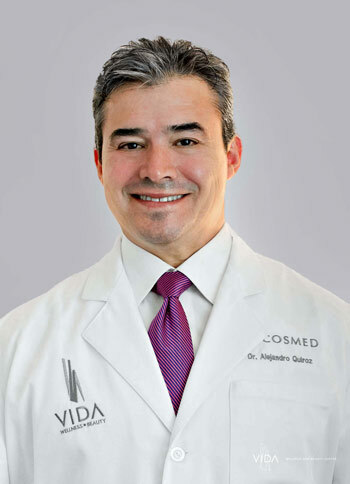 Dr. Alberto de la Fuente García, MD is a dermatologist experienced in both clinical and cosmetic Dermatology and is Board Certified by the Mexican Council of Dermatology. It’s been a little over a year since I had my facelift and I have not regretted it for one minute. I just finished an Estheticians course at Bellus Academy and I’m going for my California State Board Exam next week. I am a Cosmetology Instructor with Bellus Academy so had the privilege of graduating with some of my cosmo students! Everyone commented on how young I look…people are always amazed when I tell them I’m 68! They ask “what is your secret to the fountain of youth?”…and I just say….Dr. Alejandro Quiroz! My surgery experience at Cosmed far exceeded my expectations and that doesn’t happen too often. My son who can be a little snobbish thinks the Doctors should change the name to Cosmed Medical Resort. I agree! A resort was certainly my experience from the minute I arrived. There was not one Doctor and or staff that didn’t make to me feel like I was their only patient. I miss my peeps! Love you all for your support. Going shopping is a completely different experience now. I’m so happy trying on regular clothes that now my problem is picking a color or style. I feel good about myself now. I am forever grateful to Dr. Quiroz and COSMED for the professional work, support, and excellent service. I recommend them to anyone who wants to transform their body and their lives.